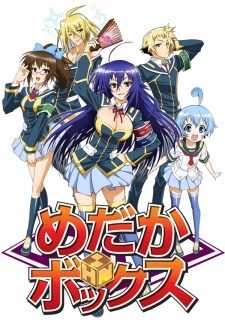 When newly elected Student Council President Medaka Kurokami institutes her idea for a suggestion box where people can submit problems that need to be solved, she's expecting things like rescuing lost puppies and giving advice. What she and her best friend Zenkichi find instead, however, are the first hints of an unbelievable secret, and their school, Hakoniwa Academy, and Medaka herself are somehow at the very center of the growing maelstrom! As what seemed like an innocent past time turns into a dangerous game, Medaka and her recruits to the Student Council discover new depths to both themselves and their own unexpected abilities. And then things get really out of control!